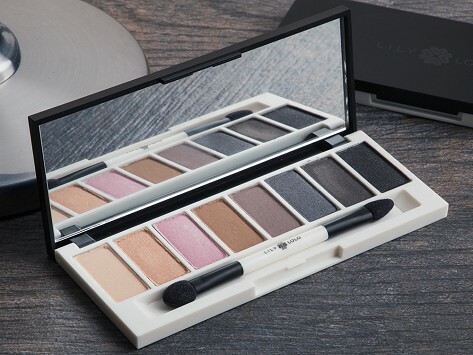 Whether you want a bold or natural look, Lily Lolo has the right palette. This organic mineral makeup is lightweight and won’t clog pores. Smoke & Mirrors has eight different shadows in matte and shimmer for dramatic eyes, while the Laid Bare neutral tones show off your natural beauty for a daytime look. Highlight your natural beauty with natural makeup. Lily Lolo’s organic mineral makeup gives a lightweight, flawless finish that’s less likely to irritate sensitive skin or clog pores. All makeup contains minerals, but mineral makeup’s main benefit is it’s lack of preservatives and unnatural chemicals. Lily Lolo’s all-natural ingredients provide light SPF protection and even help soothe skin. Its antibacterial properties make it ideal for acne-prone skin, too. Founder Vikki Khan fell in love with mineral makeup, but had trouble finding a reasonably priced product in the UK. So she began her own brand—Lily Lolo, named after her sisters. BB cream (short for Beauty Balm) has taken the world by storm, and Lily Lolo’s natural version is no exception. Like their eye shadow, it’s designed to go on light. Apply it in layers to create your perfect look. It’s a bit of affordable luxury that promotes your natural beauty while treating your skin right, too.